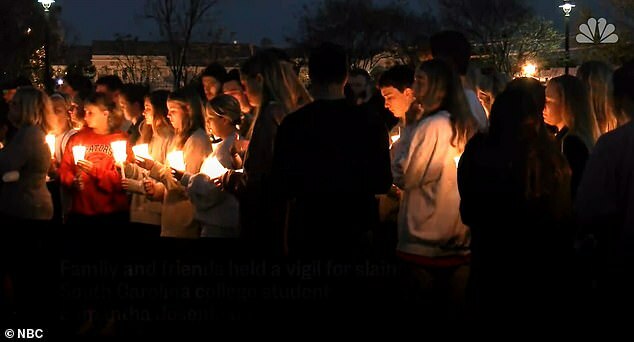 The mother of a South Carolina student who was found dead after getting into a stranger's car thinking it was her Uber has slammed the driver as being 'vile' and 'evil' after it emerged he had activated the child locks in his backseat. 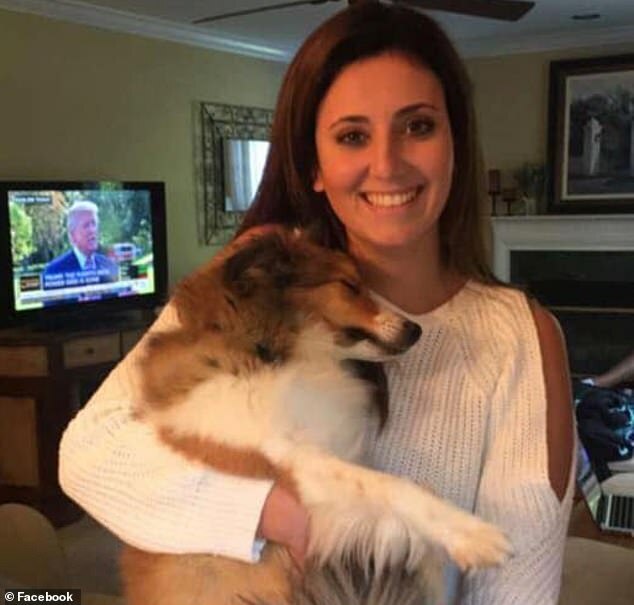 Nathaniel David Rowland, 24, was arrested for allegedly killing 21-year-old Samantha Josephson after she got into his car in Columbia at about 1.30am on Friday thinking it was her Uber ride. Her body was found hours later dumped in woods off a dirt road in Clarendon County about 65 miles away from where she was last seen on surveillance video getting into Rowland's car. Josephson's mother Marci read a statement on Sunday to the judge at Rowland's jail hearing, which he was not present for. 'There are no words to describe the immense pain, his actions have caused our family and friends. He's taken away a piece of our heart, soul and life. Shame on him. We thought he would be here to see his evil face,' she said. 'I can not fathom how someone could randomly select a person, a beautiful girl and steal her life away. His actions were senseless, vile and unacceptable. 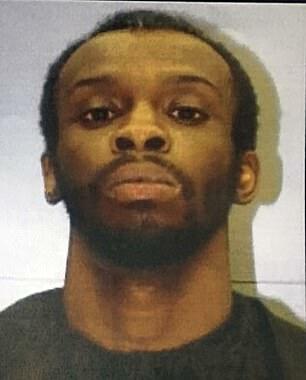 It sickens us to think that his face was the last thing that my baby girl saw on this earth. She described her daughter as bubbly and full of life and said she was due to graduate college in May and start law school in September. The grieving mother urged the judge to deny bail for Rowland. 'He should never be given the right to walk free again for what he did to my daughter, or given the opportunity to hurt anyone else,' she said. Josephson had numerous wounds to her head, neck, face, upper body, leg and foot when her body was found by turkey hunters just hours after she had been dumped there. 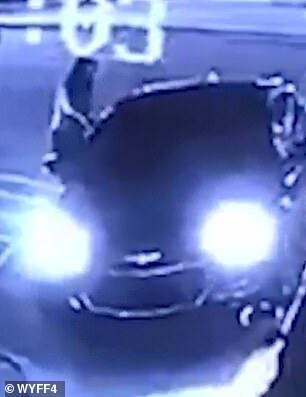 The night after Josephson was kidnapped, a Columbia police officer noticed a black Chevrolet Impala about two blocks from the Five Points bars where Josephson was kidnapped. 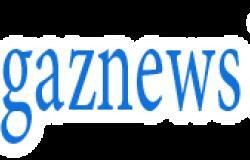 The driver ran but was arrested after a short chase and is charged with kidnapping and murder. Police said the victim's blood was found in the trunk and inside Rowland's car along with her cellphone, bleach, window cleaner and cleaning wipes. Investigators said there was a child safety seat in the back of the car and the child safety locks were enabled, meaning Josephson would have not been able to escape. 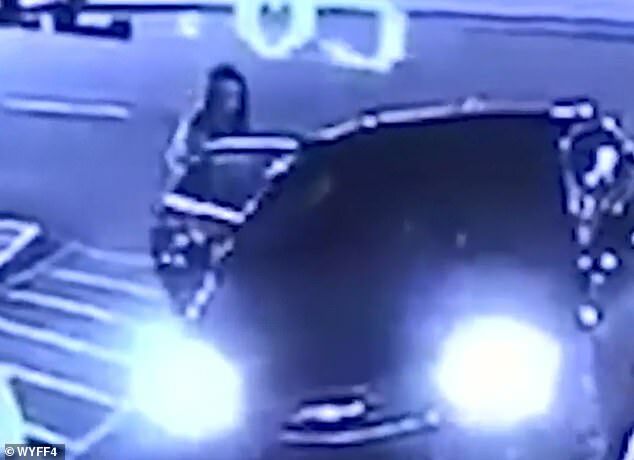 Security footage from the area shows Josephson getting into the black Chevy Impala when she was leaving after a night out with a group of friends in the Five Points area. 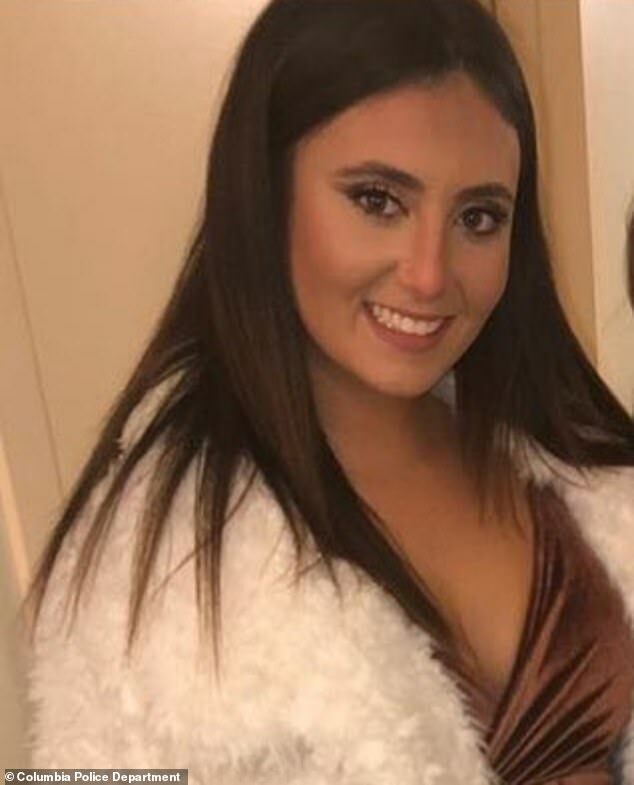 She left the bar Bird Dog alone and was spotted getting into the car that she and her friends believed was an Uber that she had ordered, a witness told the Daily Gamecock student newspaper. When Josephson's actual Uber driver arrived moments later, the driver cancelled the ride when she didn't show up for the pick-up, witnesses said. 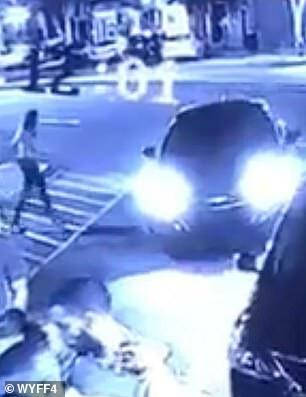 Surveillance images released by the Columbia Police Department also show the final image of Josephson before she disappeared. She was seen wearing an orange shirt and black pants, and talking on the phone.